Lee’s Tile is the premier DFW bathroom remodeling and kitchen remodeling services in tile industry located in Wylie, Texas. Call972-627-4476 for a quote. 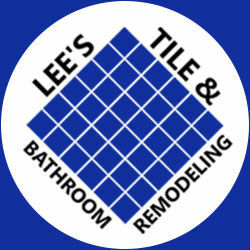 Lee’s Tile has been in the tile industry since the company was established by H. R. Lee in 1949. With over 65 years of experience, and an in-house tile, granite, and cabinet shop, Lee Tile can be trusted to do the job right. Rest assured, your custom bathroom will be remodeled to your exact specifications. Lee’s Tile take care to make sure that their products are the quality your home deserves. Lee’s Tile cut and fabricate our tile and granite in house. Granite is cut using the same slab of granite, to ensure the design of your countertops will be consistent. Custom built wood cabinets are made from raw wood planks. With solid wood corners, boxes, and handmade solid wood doors, Cabinets are built to last.